［3］Jegede, O (1999) Priorities in Open and Distance Education Research: Opinions of Experts and Practitioners within the Commonwealth. Commonwealth Forum on Open Learning, Bandar Seri Begawan, Brunei Darrussalam, Commonwealth of Learning. ［4］Jung, Insung (2000) ‘Enhancing teaching and learning through research: focusing on web-based distance education”, keynote address at the 1st Conference on Research in Distance and Adult Learning in Asia, CRIDAL, the Open University of Hong Kong, 21-24 June. ［5］Mishra, S (1997) A Critical Analysis of Periodical Literature in Distance Education, Indian Journal of Open Learning, Vol. 6, No. 1-2, 39-53. 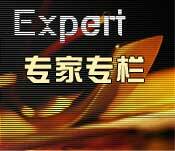 ［6］Zhang, Weiyuan (2000) The current state of experts and their foci in distance education research in China. Indian Journal of Open Learning, Vol. 9, Issue 1, 29-40.